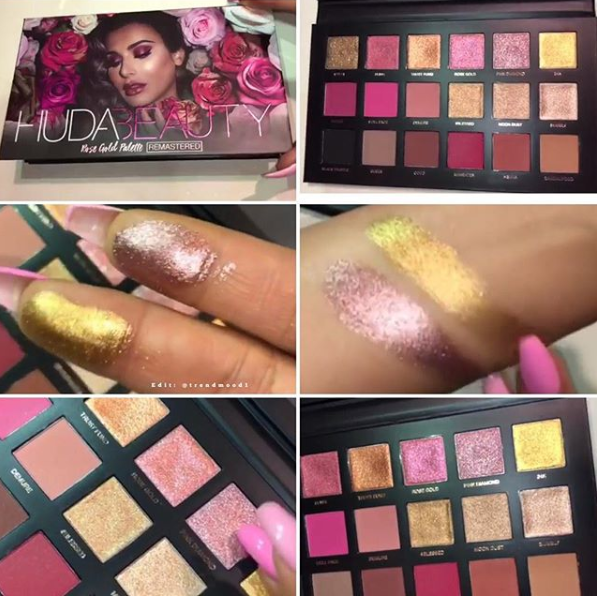 Huda Beauty is reviving a beauty from the past! She is launching her Rose Gold Eyeshadow Palette ReMastered on Tuesday, 5.22! 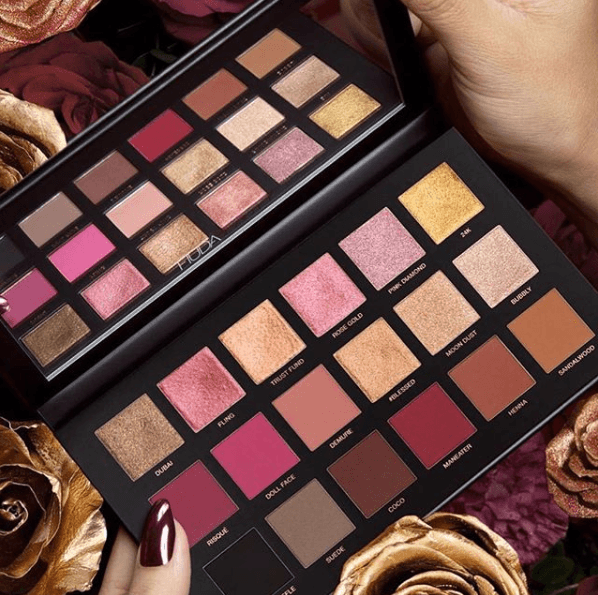 This palette is such an incredible representation of the journey Huda Beauty has been on. “Everyone who knows me, knows how important our original Rose Gold Palette was to us, but when we launched it, we really had to invest everything into the palette and couldn’t invest in things like packaging & innovation! That year 2016, I actually couldn’t afford to pay myself a salary, because this palette was such a huge project for us!”. How amazing is that?? We love getting to know the brands, and the beauty and brains of the women behind them, a little more! Now we get a brand new palette with an entirely new formula! These shades look stunning with intense mattes & incredibly creamy pigmented foils. As much as we love the idea and the story behind this, we are just a bit thrown off by it… why resurrect an old palette when you could provide consumers with a brand new one?! Why not launch something we haven’t seen before rather than something we have literally seen before and may even already own? I mean, I get it, but I don’t. Is it just me, or does it seem kind of like a cop out? Like recycling ideas because that’s easier and cheaper than new ones and new products, right? I’m just not sure. Plus, comparing this one to the original is also a bit confusing. The entire bottom row of this one is IDENTICAL to the original palette, all the way down to the names of the shades. The top two rows are a bit more “remastered” with a new ratio of shimmers to mattes and new shades & tones. Some names have carried over on these lines while some are brand new. To be honest, I like this palette WAYYYY more than the first, just from the looks of it! This one is much softer, a bit more rosey and just so girly and fun! Plus, with upgraded packaging AND an upgraded formula, this palette looks like a clear win over the OG for sure! But if you have the first one, it may not be worth it to purchase this one, too, considering the similarities. But if this is just too gorgeous to pass up, we totally get you!